“Whole Foods for Healing” Thursdays 7-8:30pm, April 12th – May 17th Six 1 1/2 hour classes – learn the foundational techniques for preparing nutrient dense whole foods that support your health and vitality, with opportunity for hands on participation. A wide range of dishes to taste and experience. $275 for the whole course – cost includes recipes and all materials. A minimum of one weeks notice (before the course starts) is needed for refunds. 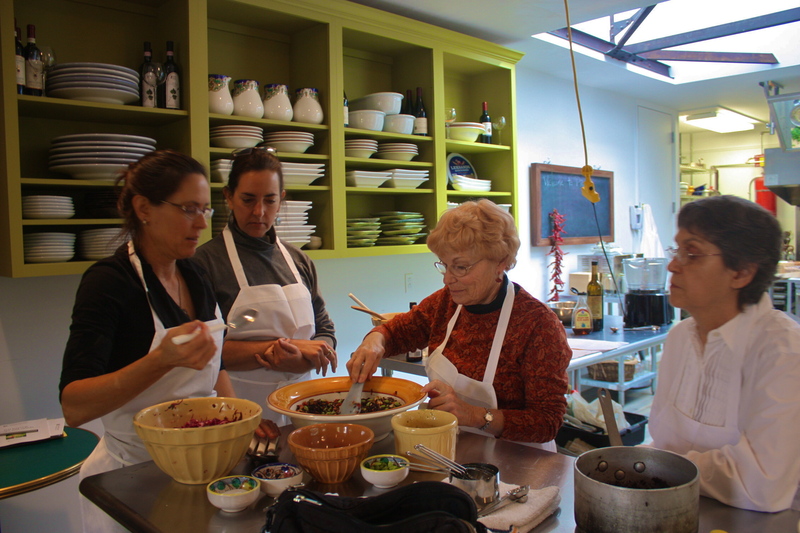 Host a whole-foods cooking class in your own home! Invite friends and family, colleagues and neighbors. Custom menus to suit your tastes and the season. 1 1/2 hour to 3 hour classes include hands on instruction and a 3 or 4 course meal including dessert. 8 people minimum. Call or email for menus and prices. Katherines cooking class is way more than ‘cooking class’. She cooks and we watch, we taste, we breath it in, we absorb the energy of this master of food,,,,,we observe the myriad of ingredients she cooks with which are usually lying in heaps on the big wooden centre chopping/prep table and we make mental notes of this technique and that piece of information. Back at home its a swirl but lo and behold the next morning come the notes from the class and it all comes back as we try it for ourselves. Katherine does not follow recipe religiously but she does have them and they are a structure that one can work with as well as ones own innate sense of whats good food. She will cultivate that in one as well.